Once Scrutinized By The Government, Rick Scott Soon Will Govern : Shots - Health News For years, Florida's Gov.-elect Scott ran the biggest and brashest chain of hospitals in the land. But there was trouble, as government investigations ultimately revealed. After Scott left the chain paid $1.7 billion to resolve fraud charges. For those of us who've covered health care for a while, the rebirth of Rick Scott as politician and soon-to-be governor of Florida is really quite breathtaking. It wasn't so long ago that Scott built the biggest and brashest chain of hospitals in the land. Back in the '90s, Columbia/HCA, as the company was then called, had hospitals from coast to coast and a reputation as one shrewdly run operation. But there was trouble under the surface, as whistle-blowers and government investigations ultimately revealed. Columbia/HCA's profits were fueled in part by kickbacks paid to doctors and inflated bills sent to Medicare and Medicaid, the Justice Department alleged. In the early part of the last decade Columbia/ HCA paid a total of $1.7 billion in fines to settle charges the chain defrauded Medicare and other government health programs. Scott, who wasn't charged with any crimes, left the company in 1997 only days after the FBI raided its headquarters in Nashville and more than 30 of its hospitals. Last month, novelist and former investigative reporter Carl Hiaasen reprised Scott's past in a rip-roaring op-ed piece for the Miami Herald provocatively titled, "Scott is either incompetent or a lying crook." During the summer, Scott told the Herald, he "made mistakes" at Columbia/HCA and took responsibility for what happened on his watch. He denied knowledge of any fraud, however. Hiaasen wasn't buying it, writing, "The fraud was so massive and institutionalized that his statement can’t be taken seriously." In any case, Florida's voters have made their choice. Soon the man whose actions the government scrutinized for years will be their governor. Ex-New York Times reporter Kurt Eichenwald explains to a group of health care compliance experts how he knew something wasn't right at hospital chain Columbia/HCA. 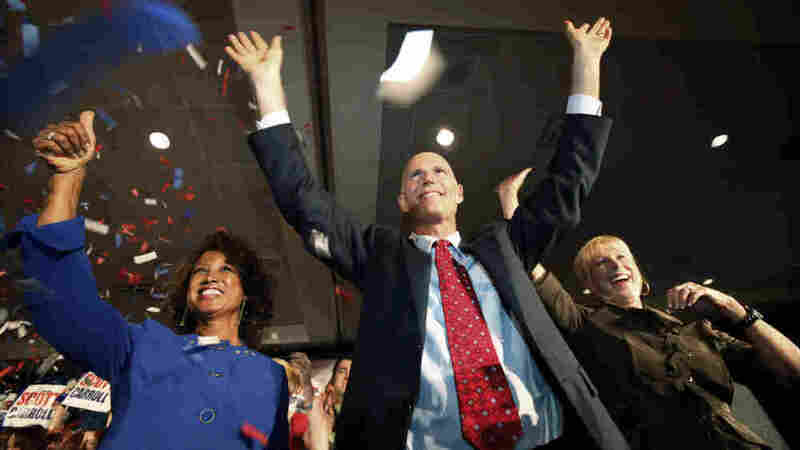 Bonus Flashbacks: NPR's Joanne Silberner reported on Rick Scott, and his reputation as the "Darth Vader" of the hospital industry, in a piece about him and Columbia/HCA back in 1996. She followed up on resignations from the company, including Scott's, after government raids in 1997.